GridLine annotations are lines or circles that cross the chart grid at location on the axis, specified by their Value property. In the case of the CartesianChart, the GridLine represents a vertical or horizontal line that crosses the entire plot area. Polar Axis GridLines represent concentric circles that cross the polar axis at the corresponding Value. Radial Axis GridLines basically represent the radius of the PolarChart. 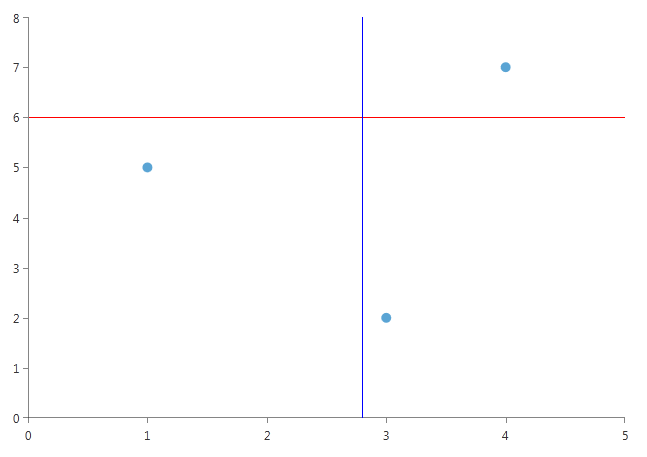 Axis The Cartesian GridLine Annotation needs to be associated with horizontal or vertical axis explicitly. Value (of type object) The place on the associated axis where the annotation crosses it. When the associated axis is numerical (Linear or Logarithmic) a numeric value is expected and when it is a CategoricalAxis - a category. Label The string that is displayed in the label. LabelDefinition Defines the position of the annotation label, check theAnnotation Labels help topic for more details. 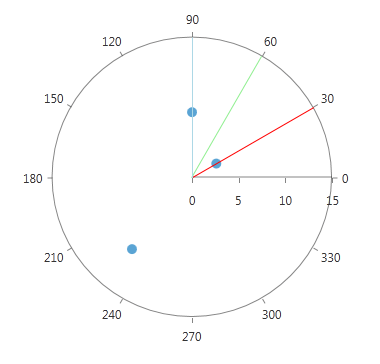 Value (of type double) Specifies the location on the polar axis (the radius), where the grid line will cross. 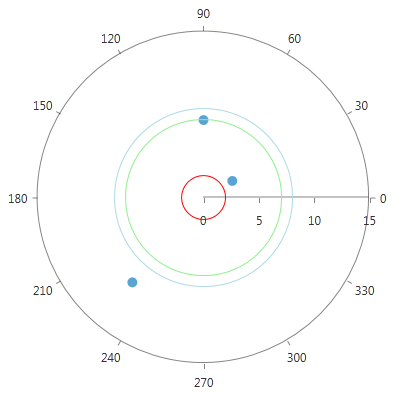 Value (of type object) Specifies the location on the radial axis, where the grid line will cross. When the radial axis is NumericRadialAxis a numeric value is expected and when it is a CategoricalRadialAxis - a category.